With the time change last week, we know that the usual thing to be reminded of is to change the batteries in your smoke detector. Since we are not in the smoke detector business, we would like to add another thing to check when you change your clocks: The health of your septic system, especially in the Autumn. Here’s the hard truth: if you’ve been putting off having your septic system looked and/or fixed, the time may be running out for you to do anything about it until the Spring thaw happens! 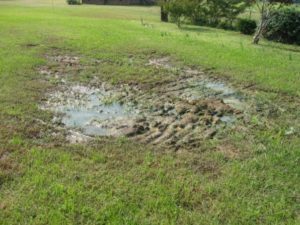 If you’ve seen the tell-tale signs of a septic issue such as puddling in your drain field, catching whiffs of a funny smell, or having a gurgling noise from your plumbing when you flush or run the water, get your system checked before the hard freeze happens. 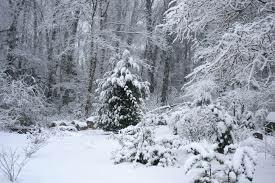 Like it or not, once the snow is falling in Rhode Island the temperatures have dropped and the ground freezes. It can be pretty much impossible to perform septic maintenance and repairs even with heavy-duty equipment. If your septic system fails in the heart of our New England winter, you may not be able to solve the problem until the ground starts to thaw in the Spring. Imagine not having a functional septic system for weeks (or maybe months!) This is not just an inconvenience, it can also be extremely unhealthy. Be proactive! If you have seen signs and suspect that your system is a having some issues, get it checked out. The peace of mind you will gain knowing that you can pass the winter season without problems is priceless. Of course, if after the inspection you learn that need a new system, Grenco can help.